Let your favorite teachers know how much you love them with this fun teacher gift! This free A Teacher Takes a Hand… printable is the perfect addition to hand creams, lotions, and hand sanitizers! Connor has a few awesome teachers this year. And I say teachers because we can’t forget about his PE teacher, music teacher and art teacher. I wanted to show them how much we appreciate them so I created these cute gift tags and tied them to Udderly Smooth hand cream. First, who doesn’t love to keep lotion in their desk? 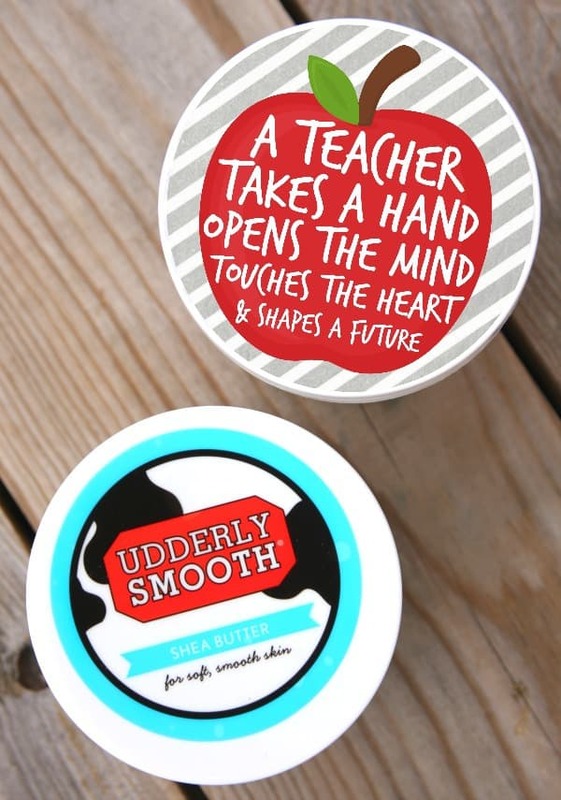 Udderly Smooth has the best hand creams, body creams and foot creams. 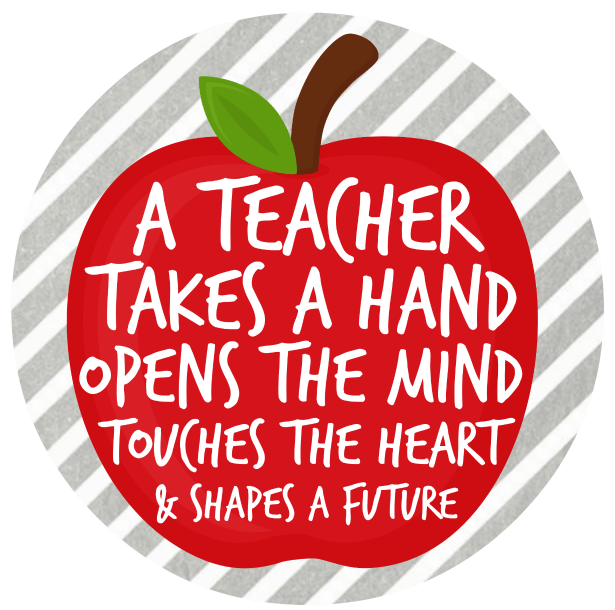 Next, I created this apple printable that says, “A teacher takes a hand, opens the mind, touches the heart, and shapes a heart” because that is exactly what teachers do! So what are you waiting for? 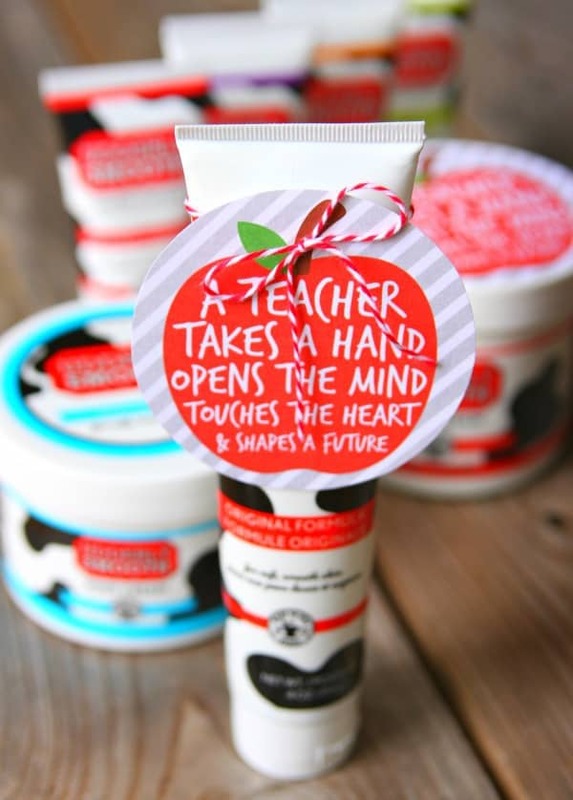 Pick up a few hand creams the next time you are at the store and give the gift of smooth skin to all your child’s teachers. It’s the perfect Teacher Appreciation gift! This is totally adorable Kara. I LOVE it. 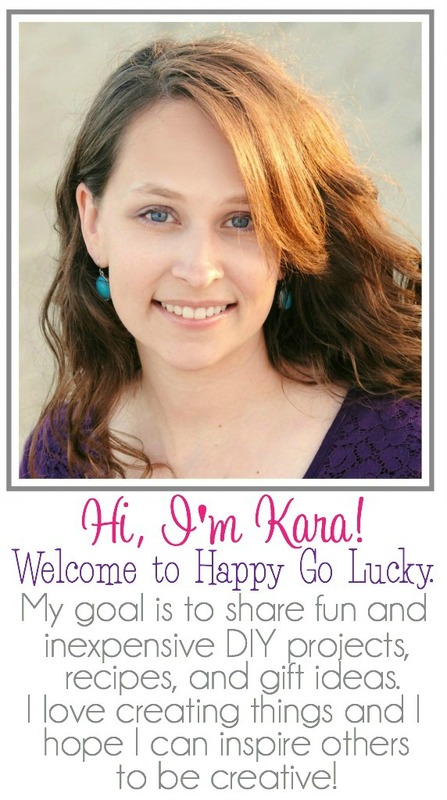 I love this printable, Kara! Soooo cute. baño en la que secarnos los pies al salir de la ducha, no.